Oh my yes, there are often surprises, and they can cause you stress, disappointment and cost you many thousands of dollars. It stands to reason that when you choose an agent you choose the best. In my 25 years as a real estate agent, and over 20 years as an associate broker, I have developed an unparalleled understanding of the real estate market in Washington, Maryland and Virginia. I have also developed extensive knowledge of contracts, financing, appraisals and the mortgage process and products—essential to recognizing a qualified buyer in the marketplace. 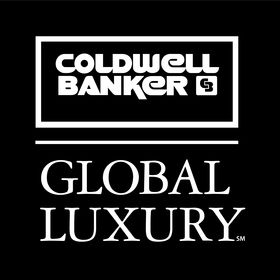 ~ Life membership as a Greater Capital Area Association of Realtors "Regional Top Producer"
~The Coldwell Banker "International President's Premier Award" for sales. ~Inclusion in that most exclusive club in real estate: The top 1% of agents in the United States. So whether you're looking for a stately Victorian on Capitol Hill, a rambling colonial in Alexandria, a smashing loft in Bethesda or even a commercial property, the Phyllis Jane Young Group will make it happen. Plan on selling a residential or commercial property? Look to my team for a powerful web presence, extraordinary marketing materials, professional staging, and care that's light years beyond the rest. ~Detailed market analysis. Evaluating a home is a multifaceted process that includes not only analyzing location and condition but also interpreting the subtleties of an often volatile marketplace. While past sales can give an indication of the value of your home, I price for the present and the future—not the past. This requires tremendous experience and market understanding. ~Comprehensive assistance in preparing your property. It’s your home and you love it, but when it’s time to sell, it must appeal to as many buyers as possible—which might mean removing some of your favorite possessions to create a less personal statement, a more “vanilla” home, if you will. Every home has its special qualities that affect price. I try very hard to understand yours and to highlight them for buyers. ~Extraordinary web presence. The internet is essential in today's market. In 2004 73% of all buyers between 35 and 54 years of age went to the internet for their real estate research. My website— www.phyllisjaneyoung.com —is a remarkable tool for home buyers, kept absolutely up to date with open houses, beautiful photographs and virtual tours, calculators, neighborhood information and links to essential resources. Registered with all major search engines such as Google and Yahoo, and with links provided to Homesdatabase,com and Realtor.com, the two major real estate search providers, the site consistently logs over 3500 visitors each month. ~Virtual tours. All of my properties are professionally photographed with as many as 50 shots displayed on my website, through the MRIS (multiple listing) database, and through Realtor.com. ~E-mailings. Over 1000 top producing agents and home buyers receive an emailed announcement prior to the first open house. These custom designed, full color broadcasts include photos, text and a link to my website. ~Advertising. All of my properties are advertised in the Washington Post — in both print and on-line editions; Craig’s List, an unusual and highly effective web marketing site; and in a variety of targeted community and specialized publications. ~Brochures. Depending on the property, two or four page brochures are prepared. Custom designed, filled with color photos and sparkling text, hundreds of these glossy promotional pieces are distributed to home buyers and agents. ~24-7 Support. If you need assistance and I cannot be reached, Marsha Cromwell, a licensed agent and my assistant is always there for you...caring, efficient, and professional. ~Promotional Materials. Everything from my website to brochures and postcards is created by Stephanie Cavanaugh, a designer and writer whose words are frequently featured in such publications as the Washington Post, Home & Design, and Washington Spaces. ~Design Services. Theatrical set designers, interior designers, real estate stagers, landscapers and floral designers are all on call to cater to my client’s needs—whether the requirement is simple cleaning, or top to bottom design and/or furnishing to create the most magnificent possible presentation.